If you’re an expert in any of the above Pets categories, here’s your call to submit your best original articles in exchange for exposure and traffic sent back to your website. Fluffy and Fido will love you for it. My Nikki and Benny, both certified therapy dogs, and Dukie, my blind dog are very happy to finally get their own category. This is great because most pets are better than people. Hey, why can’t a dog run for political office? Oh yah, they already do? Well, it seems it is cruelty to animals either way? I think it is great to have a separate “Cat” for pets! Animals add so much to our lives. I’m so glad you added the pets section! My pets are constant sources of entertainment around here. Such lives they lead: eat, sleep, and get petted. Must be nice to be a pampered housecat. Their biggest worry is whether to have chicken, tuna or fish. This is their place, I’m just the contented wait staff. I am ecstatic you have added this category! My favorite category to write about is animals, so this is right up my alley. I have a 7 1/2 year old miniature dachshund that is paralyzed due to a ruptured disk in her back. She is now known as the “dog with tires,” because she gets around in a dog cart. She will soon be the star of her own children’s book and be appearing at our local schools and libraries. 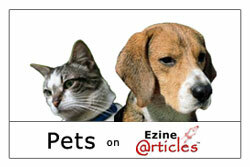 We will be sure to add our on-going experiences and stories to the new pet category. Thank you so much for adding this great category!! My cat “Snowy” thanks you. Thank You from my fur family! I can’t imagine how life would be without my pets. Since the age of 6, I’ve been involved in animal rights and rescue. By the way, most of my pet care articles are written with either Scruffy or Lucky perched firmly in my lap.